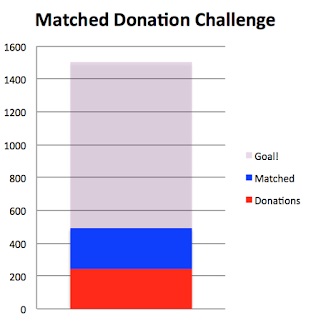 Donation Matching! 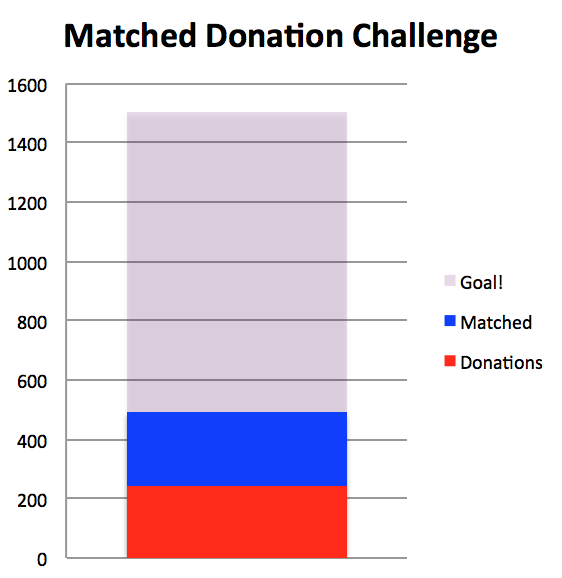 Donate before 11:59pm on Sunday (10/2) and all of our donation dollars will be matched up to $750! Let's keep up the great work! As the marathons approach I hear the same questions repeated. Are you ready? Will you make your target pace? The first question is much easier to answer. Yes I am ready. I am ready to run. I am ready to be in Portland for a few days. I am ready for the excitement of the race. I am ready to stop training. I am ready to stop asking people for monies. I am ready to feel that sweet measure of accomplishment and exhaustion that can only come from running in a large circle. I am ready. But will I make my target pace? That's harder to say. What is it that they say about predictions, you know, those about the future? Not easy, I think. 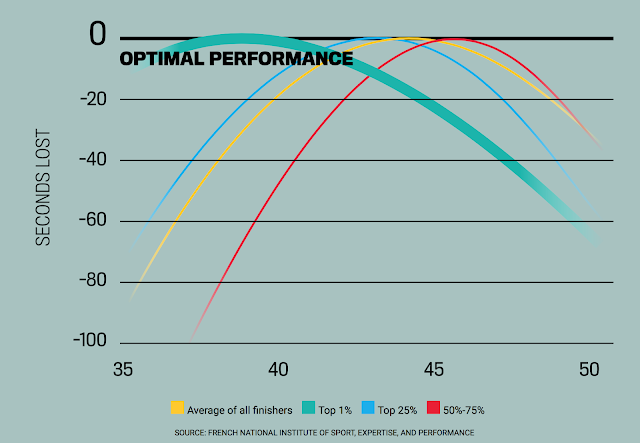 Anyway, there are a lot of factors that go into hitting a target pace in a marathon. One of the most obvious, though arguably least important is training. And this year I have put in the training. I've upped the miles (without injury) and included more speed work. That part looks good. More important are other less controllable factors. If the weather turns hot, or extremely cold, than the pace may be off. In Chicago last year the high was 78 degrees (average for marathon day is 53). This is hot. I burned a lot of energy trying to cool myself. I also lost a lot of salt. Two years ago in New York it was 43 degrees (average, 54) and breezy (45 mph gusts). I spent a lot of calories trying to warm myself. It can also rain. 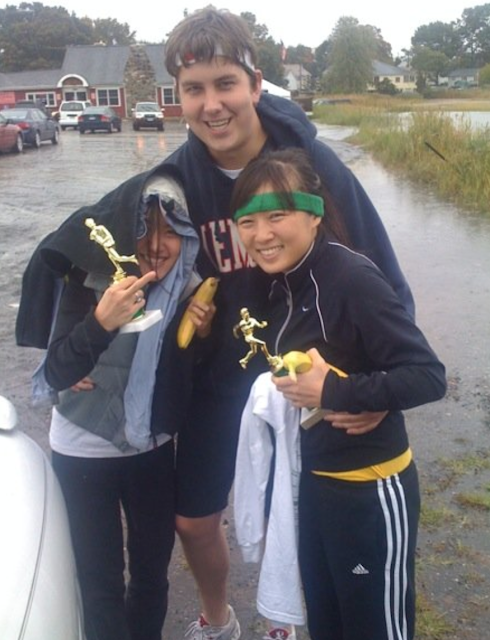 I've not run a marathon in the rain, but I have run shorter races in almost floods. This often results in pretty respectable finishes (placements, not times) and sometimes trophies as non-idiots tend to stay home in rainstorms. Pretty sweet 2nd and 3rd place age-group division trophies. Turns out non-idiots are statistically more likely to be women. Notice the flooding parking lot. And lastly, one of the most unpredictable and completely pace shattering events is of course the famous bowel problem, the lower-intestinal issue, the constitutional crisis, the runner's nightmare, the joggers bane, the terrible twos, the plumber's paint, or as I like to call it, yogurt's revenge. There are never enough port-a-potties along a race course. There are never enough at the start line for that matter. Everyone has the same fear before a race. In the moments leading up to the gun everyone lines up outside of the stinky little boxes and tries to wrap up any outstanding business. But even with the best precautions, in a group this large there will always be casualties. In my last two marathons I've been very lucky. But I have run enough over the years to have had a few exciting moments. In New Haven I ran in East Rock park. I often ran to the top. It was a beautiful run and a great place to get away from red lights and street crossings. But as I was returning on this specific day I was suddenly jolted from my day dreaming. Where once there was nothing but peacefulness there had been a seismic shift. Somewhere below my lungs a violent quake had shook. And immediately I knew the end of the world was upon me. Everything on the inside wanted to be on the outside. And it had already chosen an exit. I began to panic as salt crystals started popping out of my skin. I was far from my house. There was no Starbucks, or gas station bathroom within miles. Waves of pain crashed through me. I started picking out friendly looking bushes. One of the great dilemmas when dealing with yogurt's revenge is trying to decide how quickly you can try to get home. Do you speed up - potentially risking more pain, and even a non-recoverable, life ending calamity? Or do you slow down - hoping to ease the anger and speed of progression, but sacrificing precious seconds between now and the unknown moment when the great vacating begins? I've never known how to answer that question. That day in East Rock park I managed to reach my house. I don't remember my pace. But I arrived precisely on-time. I should have given myself a trophy. I deserved it.